How has sponsorship changed over the past 10 or 15 years? For many businesses, sponsorship used to be a discretionary line item, dependent on how profitable operations were in a given quarter or fiscal year. It was viewed largely as a donation, made with few expectations or conditions. Today, however, corporate sponsorships are an integrated part of marketing strategies, on the same footing as advertising, trade shows, and social media. It is an indispensable lever used to immerse an audience into your brand. 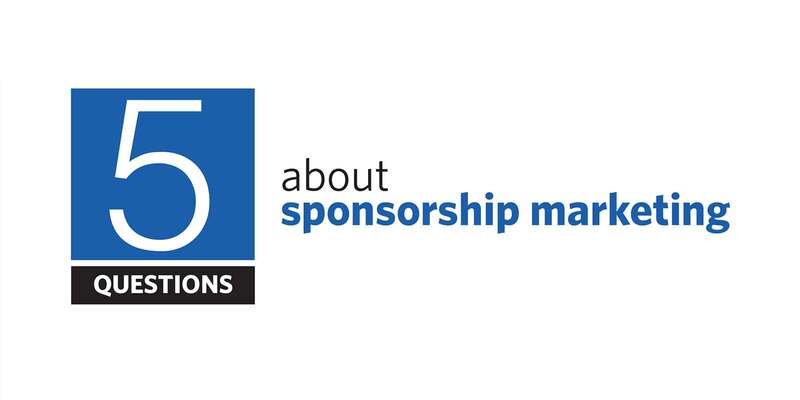 Since 2006 alone, the sponsorship industry in Canada has ballooned by more than 60 per cent. Roughly 29 per cent of brand marketing budgets last year were spent on sponsorship and ‘experiential’ marketing, and three-quarters of those decisions came directly from marketing and communications departments. As a result, metrics now matter. Sponsors are now more akin to investors, and sponsorship is now a business relationship — one that can be negotiated, accelerated, and terminated, contingent on performance. Where should manufacturers spend their sponsorship dollars? The answer to that question will change depending on each company’s customer base, its objectives, its values, its brand identity, and its budget. Potential benefactors should be able to clearly articulate, provide options for, and place an informed value on what you will receive for your sponsorship (naming rights, recognition, signage, category exclusivity, advertising, speaking opportunity, etc.). Make sure to get that information in its entirety upfront before making any contribution decisions. Nationally, a quarter of all sponsorship spends are local (in the same geographic area the sponsor has bricks and mortar), and three-quarters have some kind of community focus. By dollar value, in 2015, 31 per cent were earmarked for professional sports, 23 per cent went to community events, 18 per cent to amateur sports, and 11 per cent to educational endeavours. Like any other type of marketing, the audience and message will ultimately determine the medium. But isn’t sponsorship supposed to be about philanthropy, not marketing? That is an antiquated viewpoint, propped up by a lack of creativity and education on the part of some rightsholder organizations — in other words: Those searching for sponsorship funding. What can sponsors do to make sure dollars are well spent? Make sure your sponsorship efforts are aligned with your marketing goals. Not each investment needs to cover off each goal, but — as a comprehensive plan — they absolutely should. Position your investments so you receive due credit for what you bring to the sponsorship. You should be seen as offering more value to the event, program, or audience than just your attendance, which will translate into gratitude and brand loyalty. And, as with any true partnership, be comfortable with the ‘give and take.’ Feel empowered to propose and craft customized opportunities tailored to your company — just do so in a way that respects the level of value the rightsholder brings to the table. Where does in-kind sponsorship fit into the mix? Out of every $10 invested in corporate sponsorships, close to $8.50 is contributed in cash. That’s an all-time high. So, it would be fair to say that in-kind sponsorships are on the decline. But that doesn’t mean they are any less valuable. Staff time, in-kind services, or product in-lieu-of can, instead, be more valuable than the cash resources you may have at your disposal to invest. It’s a good alternative that can be used to sustain community relations or engagement programs during times of financial slowdown. Know what your budget is, know what expertise, products, or services you can contribute, and strive to create a win-win scenario for everyone involved.